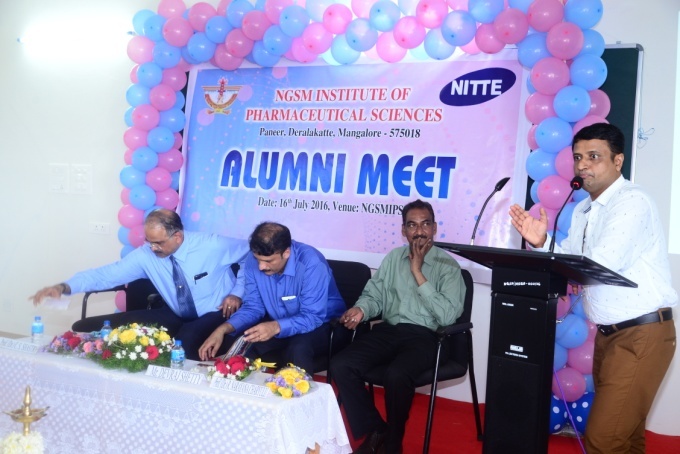 ALUMNI MEET 2016 NGSMIPS The Alumni appropriate 2016 of NGSM Institute of Pharmaceutical Sciences was held in c~tinuance 16th July 2016 in the society amidst great enthusiasm and excitement. 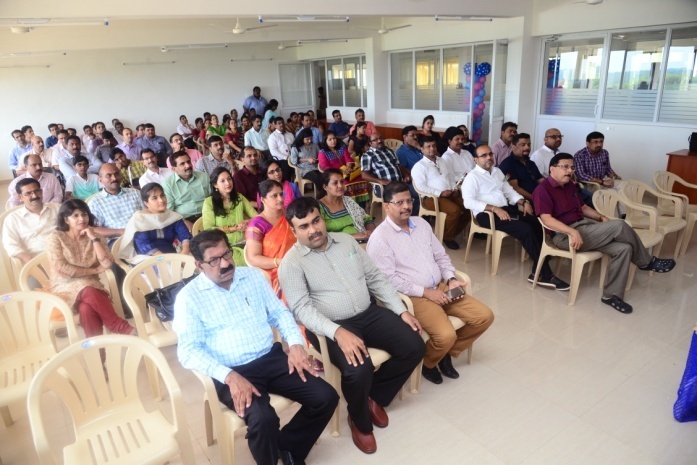 The encounter one another saw participation of over 35 alumni and their families. Dr. M.S. 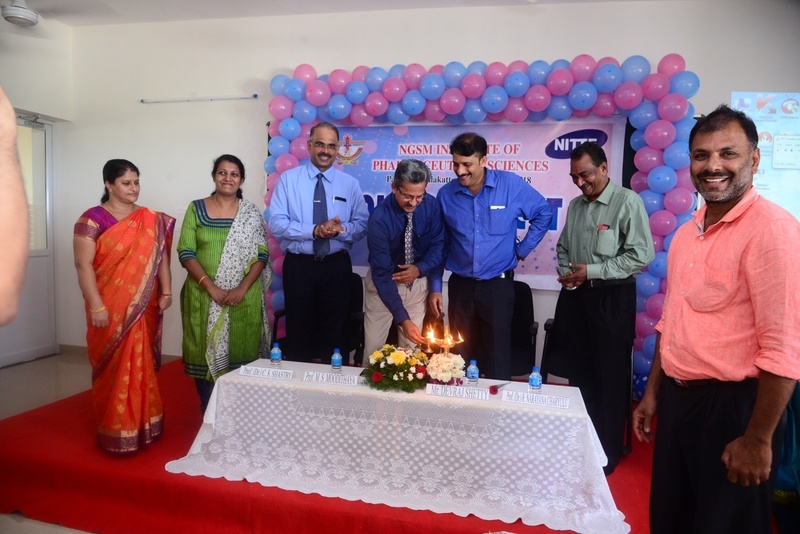 Moodithaya, Registrar – Nitte University was the main guest. Addressing the gathering he related that reunion like this offers a surprising opportunity to strengthen the bond betwixt the institution-student-teacher. Alumni are ambassador’s of one institution and have responsibility as well as authority to participate in the of the college and research oriented developmental initiatives of their alma mater and take splendid show in contributing by way of of the understanding assistance. 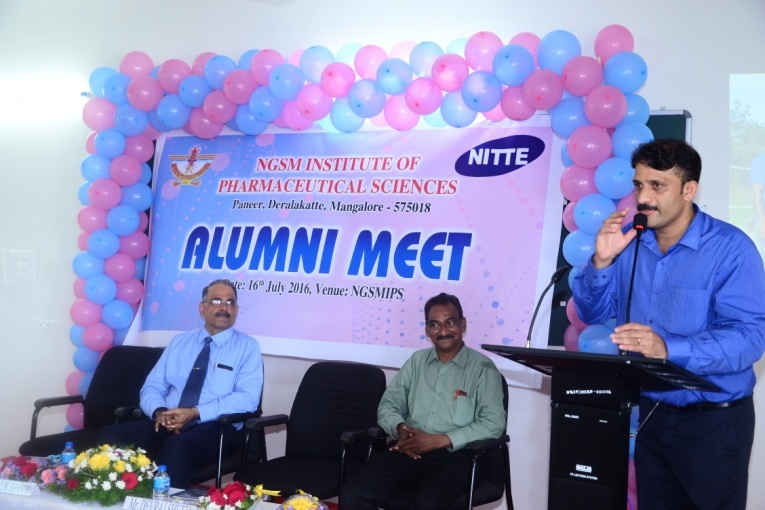 Dr. C. S. Shastry, head-master-NGSMIPS welcomed the alumni and expressed that events like these prepare opportunity for both the institution and the alumni to count precious old relationship and forge new ones. Briefing the progress made through the college in the recent years the what may occur hereafter plans, he invited the attention of the gathered and requested their participation in realizing the objective of the association to further strengthen the Nano-Science, CADD and psychopharmacology labs to render less difficult advanced research. 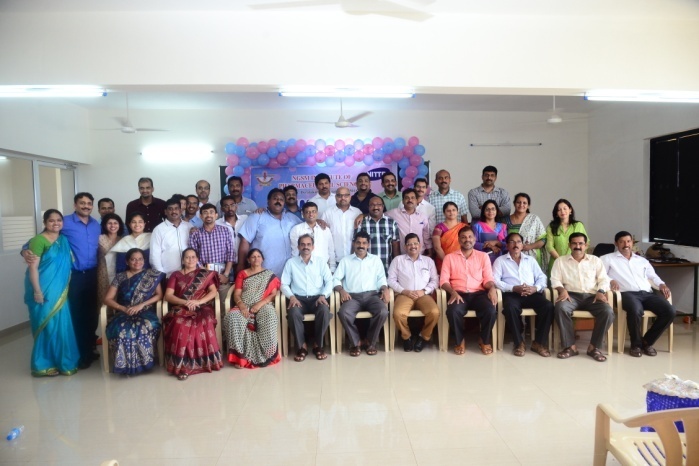 Responding to the gladly received accorded, the alumni expressed their deep-felt willingness to contribute and partake in the progress and increase of their alma mater. 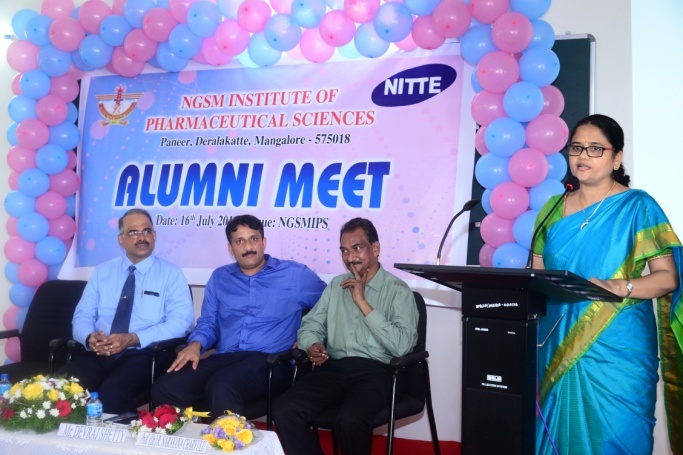 Mr. Devraj Shetty, DGM-Quality, Reliance Life Sciences, Mr. Sony Alex Pharmacist, Weil Cornell, NY, Mr. Anil Kumar, M.G. 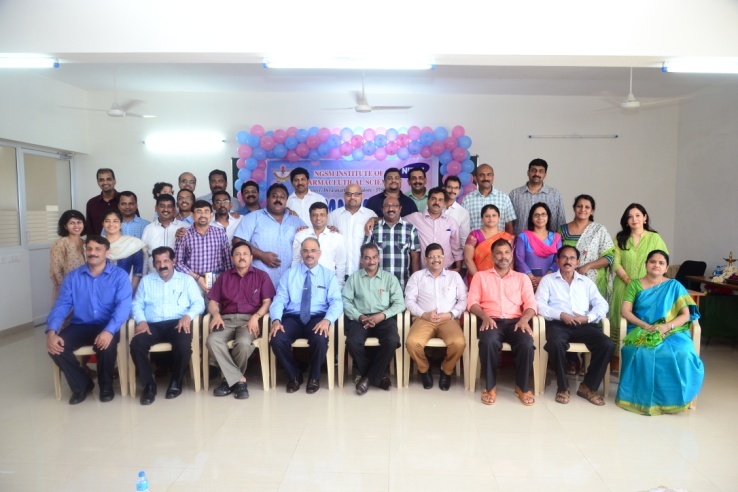 University, Kerala, Dr. Sonia George Assoc Prof, SRIPMS Coimbatore recalled those auspicious-go-lucky days and shared the nostalgic moments and moved the muster down memory lane. Dr. Prasanna Khandige, HOD- province of Pharmacology gave away the de~d of thanks. 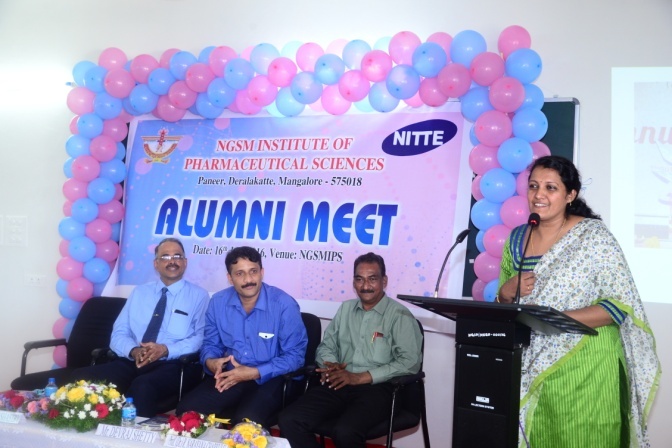 Dr. Jennifer Fernandes, Professor-Department of Pharmaceutical Chemistry coordinated the proceedings. Key Correspondents (KC) team is a vibrant network of more than 250 resident journalists based in 50 countries.